It's Remembrance Day in the Commonwealth and Veterans Day in the United States, the 11th of the 11th, and this morning we all here paused for a minute to commemorate the end of World War I, and all those who lost their lives in that war and subsequent conflicts. "Lest We Forget". Prime Minister Kevin Rudd has spoken at a ceremony at Canberra’s War Memorial, paying tribute to Australian diggers who served in the Great War and Australian troops still fighting overseas. Mr Rudd and Opposition Leader Malcom Turnbull laid wreaths at the ceremony. In his speech, Mr Rudd spoke of his hope for a new century of peace. "Wars continue and the innocent continue dying. Must every generation go through war to be reminded why there should be no war? "We have all endured a most bloody century, but let us resolve afresh at the dawn of the new century… that this might be a truly peaceful century"
Mr Rudd spoke of the 100,000 Australian lives lost in wars overseas, in battles at Gallipoli and Fromelles. "Today these numbers are mind-numbing, they are horrific in their magnitude"
He also paid tribute to Australian allies and all those who have contributed to shaping Australia. "Today too we honour our friends and our allies who have been with us in the thick of battle. 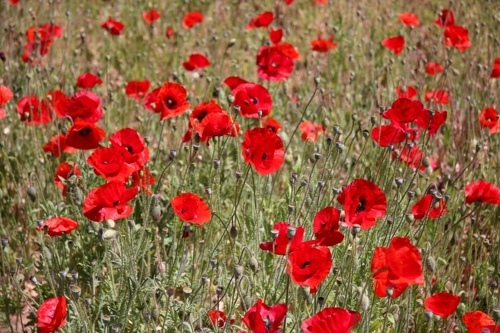 "Today we remember those who fell, we honour the contribution they have made to this world. "We commit ourselves afresh to the great cause of peace, we honour them"
Alas today I couldn't attend any dawn services in Adelaide, but I can remember attending every service while I was in Singapore. Many many Australian and British soldiers lost their lives defending Singapore from the Japanese in World War II; many are now buried at the war memorial in Kranji. It's now 2008 and we're still fighting each other. The only two things that have changed are our technology and our justifications. I'd love to be as hopeful as Kevin Rudd that we will have a century of peace, but if the first 8 years of this new century are anything to go by, we haven't learned our lessons at all.